QUEENSLAND smokers were slapped with fines totalling more than $104,000 over the last financial year for lighting up in smoke-free zones. About 400 fines were dished out across the state during that period with a caution or on the spot fine of $261 given to anyone who breaches a smoking ban. There are about 30,000 adult daily smokers in the West Moreton region, which makes up 15 per cent of the population. That percentage of smokers is 28 per cent higher than the state average. Across Queensland, 27 people were fined for smoking at a health facility, 192 for smoking at a public transport waiting point or within the five metre buffer area, 44 for smoking at an outdoor pedestrian mall and 49 for smoking within 5 metres of the entrance to en enclosed public place. 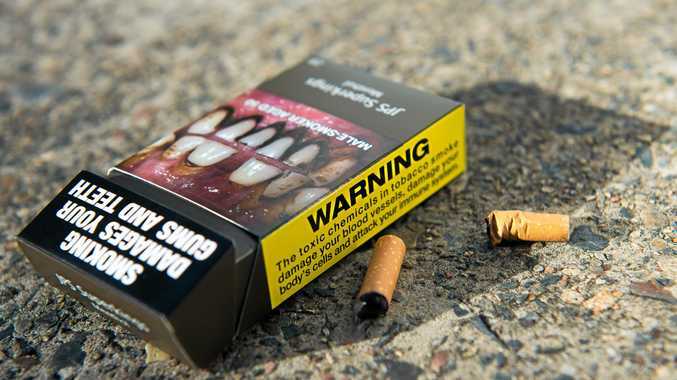 Executive Director of Queensland Health's Preventative Health Branch Kaye Pulsford said the fines were a tough but necessary reminder that smokers not only put themselves at risk of serious health problems, but also the people around them. "In 2017-18, 400 infringement notices were issued and 270 warnings were given," Ms Pulsford said. "These latest figures tell us that Queenslanders need a reminder - smoking in a smoke-free zone, whether it's a tobacco cigarette or an electronic cigarette, is not only illegal, but it also puts yourself and others at risk." "The vast majority of Queenslanders are non-smokers, yet continue to be exposed to harmful tobacco through second-hand smoke in public places," she said. "Our environmental health officers regularly respond to complaints by the public when people light up in no-smoking areas. We understand giving up smoking is hard. But where and when you smoke is a choice. "Our aim is to protect non-smokers from the dangerous effects of second-hand cigarette smoke, while also providing support for smokers to quit for good." "Nicotine, whether it is in tobacco cigarettes or electronic cigarettes, is one of the most addictive substances known and it can be very difficult for people to quit," she said. "It can take a concerted effort to quit, but it is possible and we want people to know there is help available.